It’s a quarterback-driven league, so is it really any surprise that this is our NFC title matchup? In fairness to Dak Prescott, he neither looked nor played like a rookie last week in almost leading Dallas back from an 18-point deficit. But in the end, it’s Aaron Rodgers, a Super Bowl champion, and Matt Ryan, who is the only QB in the field not to win one. Atlanta won a barnburner, 33-32, in Week 8, and both teams were missing key players in that game. It’s fair to wonder if the Packers are a little out of steam after not only winning eight straight, but hanging on for dear life to win last week in Dallas. Atlanta will be playing its final game in the Georgia Dome and didn’t have to expend a ton of energy in dispatching of the Seahawks last week. Matt Ryan is not only too good a quarterback to be 2-5 in postseason play, but he’s overdue to win a playoff game against a team other than Seattle. I have a hard time believing that Aaron Rodgers can carry this Jordy Nelson-less Packers team from 4-6 all the way to Super Bowl LI. Pick: Falcons (ATL, 34-28). Ask and ye shall receive, NFL. Brady-Roethlisberger Round II. It’s only fitting that in this predictable, parity-less conference, that it would be these two quarterbacks a year after the other member of the holy triumvirate, Peyton Manning, called it quits. Regardless of who wins, it will be the 13th time in 14 years that one of those three quarterbacks will represent the AFC in the Super Bowl, with Joe Flacco in Super Bowl XLVII being the lone exception. With all the hoopla surrounding the multiple-Super-Bowl-winning signal-callers, it gets lost in the shuffle that the Patriots own the NFL’s best scoring defense. Granted, they haven’t played any top-flight quarterbacks outside of Russell Wilson (whom they lost to), including their Week 7 win in Pittsburgh against the Landry Jones-led Steelers. But Bill Belichick will find a chink in the Steelers’ armor, and Matt Patricia will find a no-name Patriots defensive player to come up with a critical play at some point. 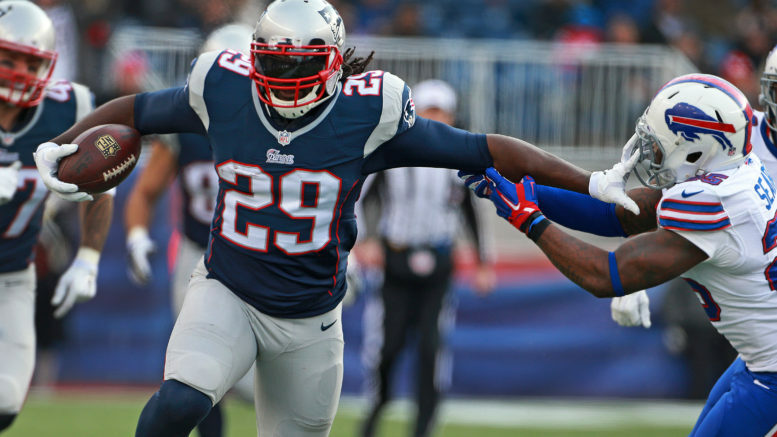 LeGarrette Blount, who literally walked out on the Steelers in 2014 before going back to Foxborough in time to earn a Super Bowl ring, will be a big factor even though LeVeon Bell will get all the attention. Julian Edelman also figures to come up big despite being overshadowed by Antonio Brown, and don’t sleep on Martellus Bennett stepping up big in the absence of Rob Gronkowski. For some reason, I’ve been envisioning overtime between these teams in an AFC championship game for weeks now, with Blount driving home the final dagger with a walk-off touchdown run. With these two teams, there will be no shortage of drama, no matter how contrived it will appear. Given that the spread is 6 and I’m thinking the game might land on that number, I’ll still pick the Steelers against the spread given that in an OT scenario, a field goal is just as if not more likely. Pick: Steelers (NE, 30-24). Be the first to comment on "Final 4: NFL Gets Wish With AFC Matchup"